Lucy basks in freshly wildcrafted beach roses. 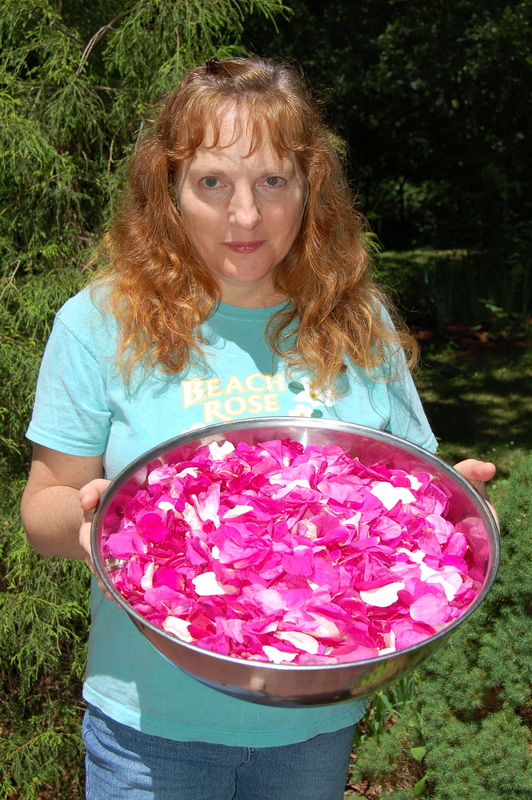 ...Wild Beach Rose Petals hand picked in the peak of blossoming makes this a heavenly healing elixir which uplifts with the Rose aroma and taste while supporting the health of the body. 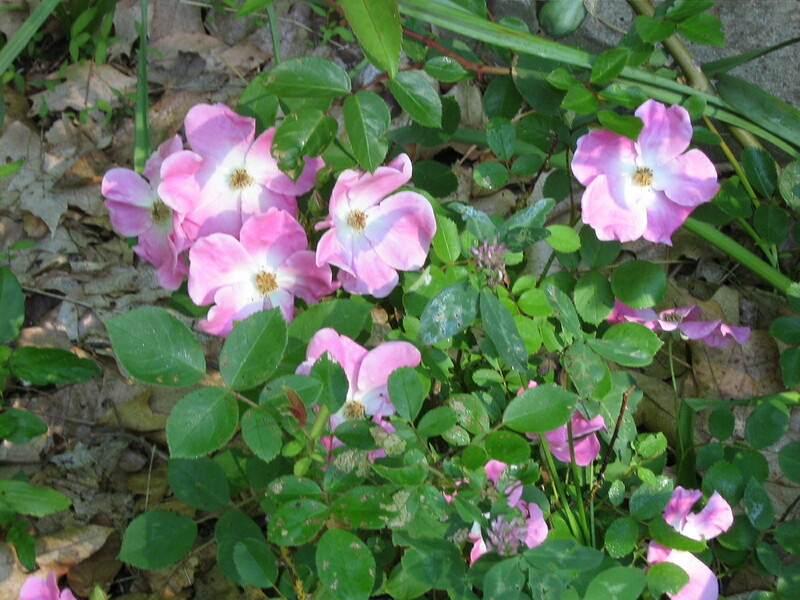 Rose is considered the Queen of flowers and is imbued with extraordinary properties which have been used throughout history by midwives, herbalists and aromatherapists. Though modern medicine has not proven this as a medicine with double blind scientific studies folklore has, through generations of experience, used this flower to help detox the blood and the uterus as well as reducing bleeding in cases where there is too much "heat" in the blood. It also is reputed to have antimicrobial effects which are beneficial for the body internally and the skin externally (this information is intended to educate, not treat any illnesses that require medical attention. )The energetic properties of Rose have helped many with heartbreak and to build Self-Love. Contains Wild Rose petals, organic grain alcohol and vegetable glycerine.